Find My Workspace lists over 95% of the executive office suites market in Farmington (Utah). Simply click Request Quote to check pricing for one office, or Add to Basket for multiple offices. 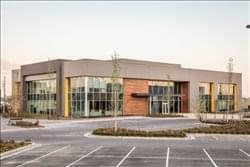 This location is a new premier office building in Utah located in the center of the highly desirable Station Park in Farmington, Utah. This prime class A shared working offers contemporary designed, glass offices with natural light and views of the Rocky Mountains. Loaded with modern amenities and features, it is one of the top places to work in Utah. Large break area can provide event space for up to 100 guests. Whether your a startup or an established Fortune 500 company, the modern design of this location was created to appeal to any form of business. The on-site management team provides consistent assistance to ensure that your operations run smoothly.